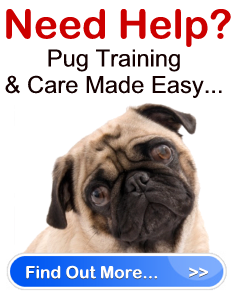 Pug Care Information " "
Pug care is something that will become more and more familiar to you the longer you are with your dog. As he grows and develops, you will learn his habits and his personality. Eventually, you will come to learn his ways so well, that it will become easier for you to detect when there is something not right with your Pug. Put your dog to bed at night. Note: your dog will go to sleep when you do. Your daily pug care routine should not include when you play with your dog, as this is something that should be done sporadically throughout the day whenever you get the chance. Once your dog becomes used to his routine, it is not in his nature to break away from it, unless you initiate the change. Therefore, should your dog begin to suddenly act strangely and divert from his usual routine on his own, this is a good indication something may be wrong. 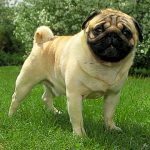 Your Pug displays loss of appetite or eats miniscule portions than is normal for more than a day. If you recognize any of these behaviors in your pug, seek immediate Veterinarian pug care. Your dog’s life could be in serious danger. When you are aware of your Pug’s habits, you’ll be able to pick up on an illness faster. This will provide you with the chance to get your dog the care he needs at early signs of a health problem. 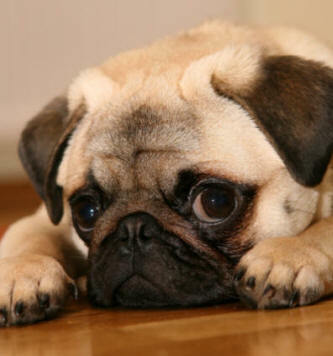 Early illness detection is a type of Pug care that in most cases turns out to be a life saver. 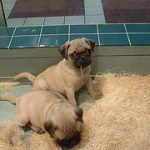 Pug Dogs - Why Register Them?